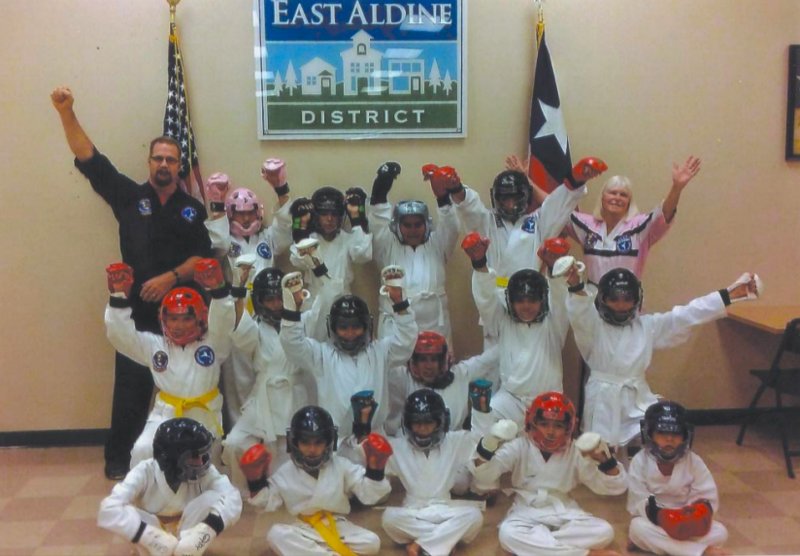 The FREE Karate Classes sponsored by the East Aldine Management District (EAMD) are a huge success. The children are having fun learning and sparring, as they get ready for an upcoming tournament. The class helps build confidence and self-esteem, specially in our girls. Karate is a sport that girls can do just as well as the boys. It shows the importance of setting goals and respecting others. A new session starts Thursday, September 13 at the EAMD Office. The children train under Instructors Jesse and Sue Diaz with David Caraway. For more information call Jesse Diaz at 713-582-8840. Volunteer neighbors helped with ditch clean-up. 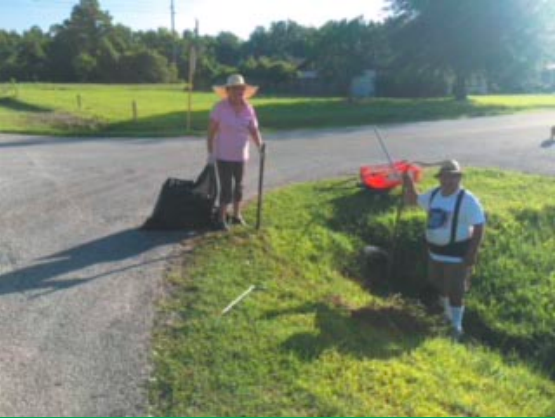 In a continued effort to recover from Hurricane Harvey and recent torrential rains, the Castlewood Civic Club, with the help of Precinct 2, launched a ditch clean-up on July 14, 2018. Residents were asked to place tree limbs that had fallen in the ditch, leaves and other small debris into a trash bag and place it by their mailbox where a truck dispatched by Precinct 2 would pick it up. Neighbors went out to help other neighbors in this effort as pictured above. The goal is to keep the culverts free of debris and provide a free water flow to avoid flooding by doing our part. Castlewood plans to this again periodically. At the next quarterly meeting, on September 27, 2018, Castlewood Civic Club will elect a new board. All positions: President, Vice President, Treasurer and Secretary will be voted on. Nominations will be accepted from the floor and voted on that evening. 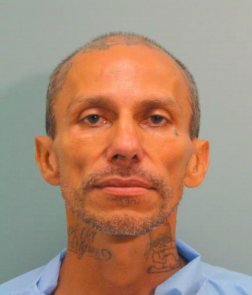 Harris County Sheriff’s deputies have arrested and charged a 46 year old parolee, Jose Gilberto Rodriguez, with a crime spree that included a home invasion, aggravated robbery, and three murders. The murders include a woman, Pamela Johnson, found dead on July 9 in her Cypress home, and employees of two mattress stores in the North Houston area July 14 and July 16. All the victims were killed with a gunshot in a similar manner. Rodriguez is being held in the Harris County jail without bond. He was caught by deputies after a brief chase in the Cypress area. He had earlier been identified in surveillance video in a store, after the first murder. He was known to be driving the woman’s PT Cruiser at first, and later a grey Nissan of the store manager. HOUSTON, TX. 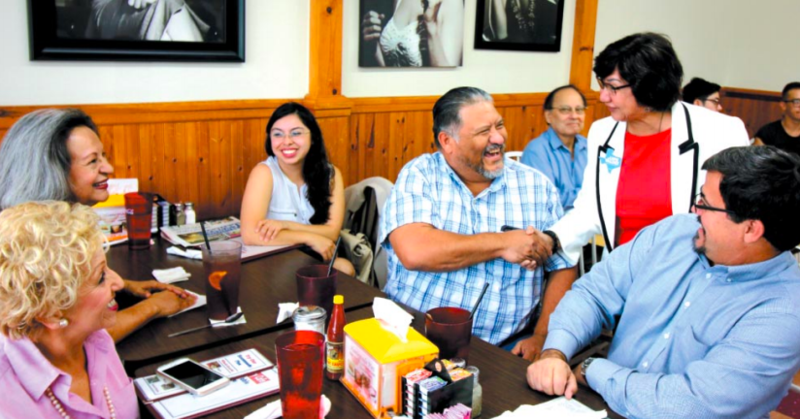 – Tuesday, July 10, 2018 — About 100 patrons were surprised when Lupe Valdez, Democratic Party Gubernatorial candidate, dropped in for lunch at the local Jacinto City Cafe along with State Senator Sylvia Garcia. The 2018 Texas gubernatorial election will take place on November 6, 2018 to elect the Governor of Texas, concurrently with the election of one Texas’s U.S. Senate seat, as well as other congressional, state and local elections throughout the United States and Texas. Incumbent Republican Governor Greg Abbott is running for re-election to a second term in office and will face Democrat Lupe Valdez, the former Sheriff of Dallas County, as well as Libertarian Mark Tippetts, a former member of the Lago Vista city council.